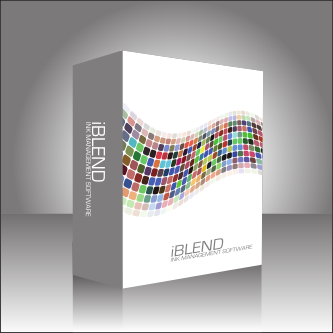 iBlend Ink Room Management Software | SPEC, Inc. The New Generation of SPEC Ink Management System Software. You may have used SPEC software in the past, but are you ready for a completely different experience? Based on the same principles of our first 5 versions, iBlend will still offer all of the latest features to manage your inventory, formulas, and reports. What is different is the fact that we’ve completely re-designed the way the software interacts with the user. The user now has a faster, simpler way to make batches, work-off inventory, and manage reports. The new software is designed with a tab based interface. Instead of having buttons that pop open new windows, users can quickly surf through the features without ever leaving the main screen. Another completely new feature is the implementation of a user configurable favorites menu. Once you log in with your user id and password, you are taken to a home screen where your favorites are stored. With one click you can navigate to the menu items that are your top priority. And best of all, you can add, change, or delete menu items as needed. Last, but certainly not least, the all new iBlend comes complete with a SQL server database platform. Running under windows 7, this will offer our users increased security, stability, and scalability. What are some other new features? Now you can save on those hefty long distance fees with our all new live chat. As long as you have your dispense computer connected to the internet, you can chat live directly with one of our support technicians for assistance. All new graphical dispense screen gives you real-time feedback of the batch in process. Easy report export functions for email, PDF, and Excel formats. Are you having trouble with your current dispensing system software? Not getting the support you deserve? We can configure any competitor’s system to operate using our software. Have an older version of our IMS software? Upgrade today!